Who doesn’t love a wacky Halloween party? Last Monday I blogged about how I was getting ready for the annual Halloween fest by making floating Jack-o-lanterns. Today I’ll show you pictures from this weekend’s celebration. These suspended Jack-o-lanterns are a whimsical spin on an old Halloween favorite. I’m making them again this year for the annual Halloween fete at the Garden Home Retreat. I like to hang them from the arbors attached to the art studio and summer kitchen. Glowing in the darkness they appear to be hovering above the guests. 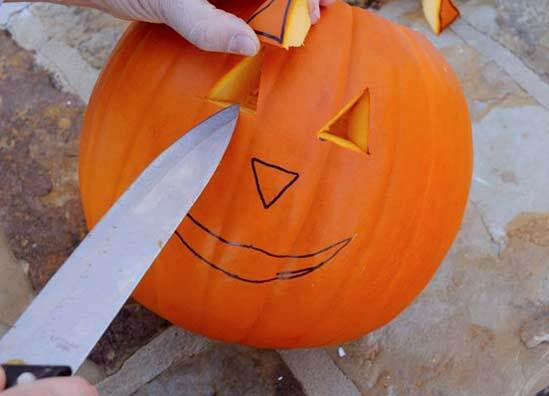 Making a floating Jack-o-lantern is easy. Here is a photo journal of the steps. Click here for complete instructions.